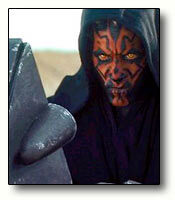 DMEB-2: Legal Matters : DMEB-2: Stories, pictures and features built around the Star Wars character Darth Maul. 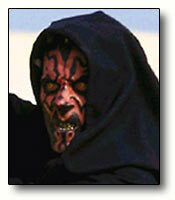 This site is the fans celebration of the Star Wars character, Darth Maul. No money is being made from this site in any way. There is no profit, this is just for the fun and the enjoyment of the creators and those who visit. We hope George Lucas will be pleased that his ideas and creations give so much pleasure, and unleash so much creativity. Some of the stories archived on this site are adult in nature. Please read our warnings before you read the stories. By clicking on the stories, you agree that you are of legal age to read them. Your browser can be set to warn you, or prompt, if a site wants to place a cookie on your machine. The Sith Council believes in being responsible Web Masters, so this site is rated with ICRA.org. Individual pages will be rated where necessary. Warnings will be given for any material which may require it because of content. It is your responsibility to read all warnings given on this site. By clicking on a story, you agree you are of legal age to read such content. Set your browser settings according to the sort of sites you want yourself, and any other persons using your computer, to see and visit. You can use the Help function on your browser to learn ho to change the settings. Or you can visit the web-site of your browser to learn how to adjust the settings. There is no association with Lucasfilm, there is fan creation. There is no intended copyright infringement, there is Lucasfilm's intellectual property without question. There is no profit made, there is only fun.